Or view larger version. Black Panther Party poster. 1969. Emory Douglas, artist. Poster. Collection of Oakland Museum of California. Lent by Rossman Family. This is a photograph of a poster that shows an African American woman holding a spear, while carrying a gun strapped over her shoulder. 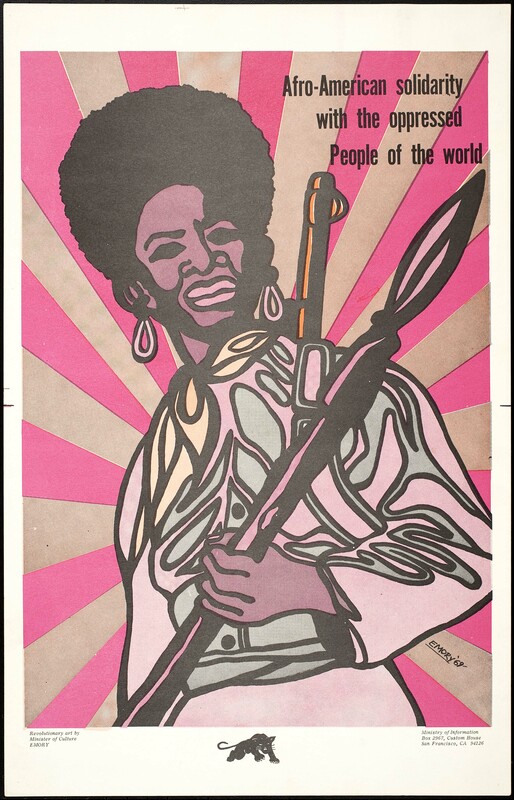 The poster reads, “Afro-American solidarity with the oppressed People of the world.” The poster’s design and text was created by the Minister of Culture, and the Ministry of Information of the Black Panther Party.